Formally it is known as the Affordable Care Act (ACA). Informally, most refer to it as Obamacare. But whatever you choose to call it, there’s no debate the new law has changed the face of health insurance as we know it. The ins and outs of the ACA are difficult to comprehend and even harder to explain. So, with the Feb. 15 Obamacare enrollment deadline approaching, The Greer Citizen asked local insurance expert Guy Furay to help illuminate the ACA and how it impacts local residents. 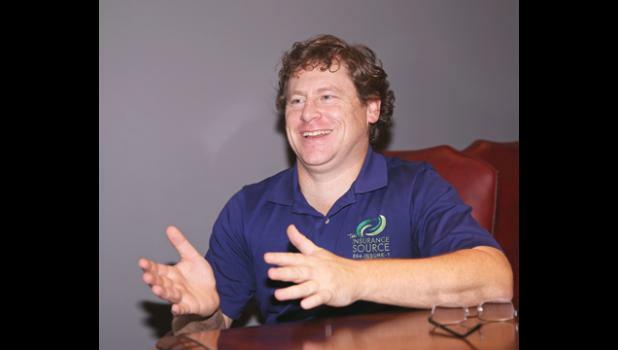 Having worked in insurance over 18 years, Furay is presently the owner of The Insurance Source, located at 114 Trade St. in Greer. The following excerpts were taken from our interview. How big an impact has Obamacare had on your business? Do most of your clients seem to support or oppose it? Well, that’s a hard question to answer because people have very strongly held beliefs about Obamacare. Anybody who tells you that the ACA is all good, is either hopelessly biased or they don’t understand the law. Anyone who tells you that it’s all bad, is either hopelessly biased or they don’t understand the law. So, whom does it help and whom does it hurt? It’s a very positive change for some. For instance, health status is no longer a factor in setting premium rates, so that’s wonderful for those that have health problems. On the flip side, for those that are very healthy, the fact that they’re healthy is totally irrelevant for setting their premium rates. So for them, it’s not necessarily a positive thing. And how has Obamacare changed the way that insurance companies function? Remember, before the ACA, the most important factor of health insurance was your health. After the ACA, your health is totally irrelevant. The most important factor of how much your health insurance costs is your income. When you eliminate the preexisting conditions, what that does is eliminate the (premium) rates because the insurance companies used to be able to pick the risks that they chose. In past years, if you had someone with AIDS or cancer and they applied for insurance, the insurance companies could decline them. Now, the company not only has to cover them, they cannot charge any more for the premium even with the increased risk. It’s [like] car insurance without somebody’s driving record, accidents and tickets factored into the rate. It’s a new model and the insurance companies have had to adjust their rates. Now this year, all American citizens will be forced to buy insurance of some sort right? There’s now a requirement that you have to purchase health insurance or else pay a fine to the government. That fine is either 2 percent of your total household income or $325 per person ($162.50 per child), whichever is higher. My personal opinion is that the fine for not having insurance should be $10,000. If you’re below 50 employees, there are very few requirements that you do anything. If you’re 50 employees or more then you’re required to offer health insurance or you pay a fine. That fine is $2,000 per employee, with the first 30 free (meaning that if there were 70 employees, the fine would be 40 times 2,000, or $80,000). The other law for big companies is, if the insurance they offer is not considered affordable by the federal government, then they must pay a $3,000 fine for every employee that goes on the exchange and buys insurance. Can you explain how the exchange works? The ACA exchange is like a big shopping mall for health insurance that is owned by the federal government. Last year, the healthcare.gov website would not work at all. This year the technology is working smoother but it is still a cumbersome application. Given that, what we did was, with the help of software engineers from Silicon Valley, designed thehealthinsurancesource.com. It enables people to quickly shop and browse plans, apply for coverage and even pull down a government subsidy without even having to go to healthcare.gov. 355 people have enrolled in that so far. So it simplifies the whole experience? Last December, a Bankrate Inc. survey found 68% of Americans felt that shopping for an insurance plan was as painful or more painful than dental surgery. The report found that 82% of US citizens would rather do their own taxes than shop for health insurance. What we try to do is simplify the shopping experience so that it’s not so overwhelming. One size does not fit all with health insurance. What this site does is compare plans side by side for you so you can compare the deductibles, co-pays and benefits. We wanted to make tools that the consumer can use, and I think we did that. For more information on The Insurance Source, call 467-8731 or log onto thehealthinsurancesource.com.